Mick Gale (MG) is a classic example of all that is good in football. 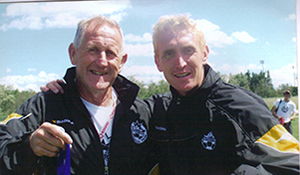 NCFA Directer, Ernie Brennan first met Mick on one of the first FA Module 3 age appropriate courses, in Kent, England. ‘Mick left an impression on me which very few people do. I can only describe him as the Salt of the Earth with a knowledge and understanding of the game, second to none’. Ernie Brennan. The NCFA sent Mick a number of quick fire questions – here are his on target answers. Q. Please can you introduce yourself to the NCFA? A brief profile; history, what do you do? Where do you work and why do you do it? MG. Born in Surrey,UK. Played professionally, coached on all 5 continents, teacher trained. Currently National development Centre (NDC) in Canada with the best elite youngsters, boys and girls. Why do I do it…… I still love the game. Q. Can you discuss to what degree is football/soccer part of the fabric of children’s sport in Canada? MG. Football in Canada is not only the fastest growing sport but its participants are more than ice hockey and basketball combined. The girls game has been well established for some years and they are amongst the leaders on the world stage. It’s a newer sport for the boys and each school now has soccer pitches which wasn’t the case 10 years ago , and has become part of the national curriculum. Q. 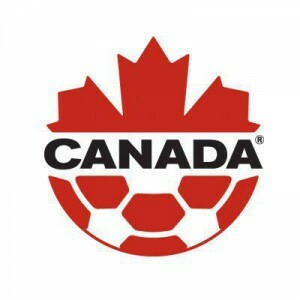 What are the major issues in children’s / youth football in Canada? Do they compare with UK? If so, to what degree and if not, why do you think there is a difference? MG. Geographically Canada is the world’s largest country and children from rural areas suffer because of the distances required to travel. Kids can start 3v3 age 5 and progress through minis /recreational/developmental to elite levels. Although numbers are not as great as UK, we have seen qualifications for world cups over the last few years. Due to the extreme cold over the long winters, the oputdoor season is very short. Indoor centres are now coming on line creating far more opportunities. Q. In your experience how complicated has the game of football become? Is it the same game you started coaching in your younger days? What are the similarities and what are now the differences? MG. Basically it is still the same game. When I was a kid it was all about fitness and enthuisiasm. Now, however, with sport scientists it’s more about correct technique as well as tactical awareness, psychology, nutrition and prevention of injury. A few years ago I knew everything in the coaching world! With the advent of therapists and scientists I now know far less and need to continually re-educate to stay on top of the game. Q. To what extent does Canadian Football / Soccer integrate on a social inclusion level in the community and on a national scale? MG. Social inclusion in Canada is country wide as they are brought up in such a multicultural society it means all kids are given equal opportunities to participate from local through provincial to national levels. Q. Do you feel as strongly about football now as you maybe did as a child? If so why and if no, why not? MG. Yes , more strongly now. It was great fun as a kid and has become an all consuming passion as I’ve learnt more. Q. In your opinion, how significant to football is the 1914 Christmas Truce? MG. Greatly significant in Canada. WW1 is history taught in schools and the Christmas truce for football is the highlight. In contrast to the UK where few kids have even heard of the truce. Q. Can you tell the National Children’s Football Alliance why you think it is important that children learn about the Christmas Truce and Why? MG. Nowadays everybody should know about the Christmas truce. It was an event that stopped the conflict and provided sport as a unifier. What an example of how to overcome political differences. The Canadians have a far greater respect for such matters and are ‘more English than the English’.